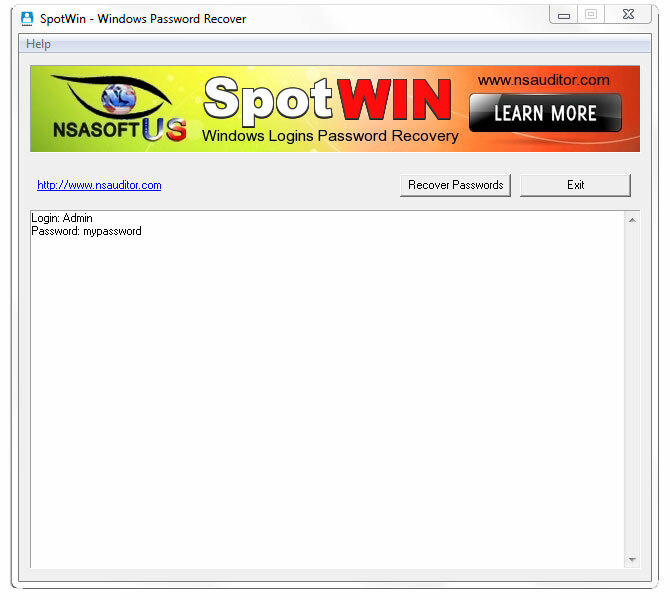 SpotWin is Windows user accounts login and password recovery software. The software allows to recover forgotten Windows multiple login accounts passwords using one of the Admin accounts. For using SpotWin you should select a user account with administrator permissions that you can log on with its password. All the mentioned features are provided with a user friendly graphical interface.